Nya Konst – University of Gothenburg, invited competition 2015, 1st Prize, ongoing. 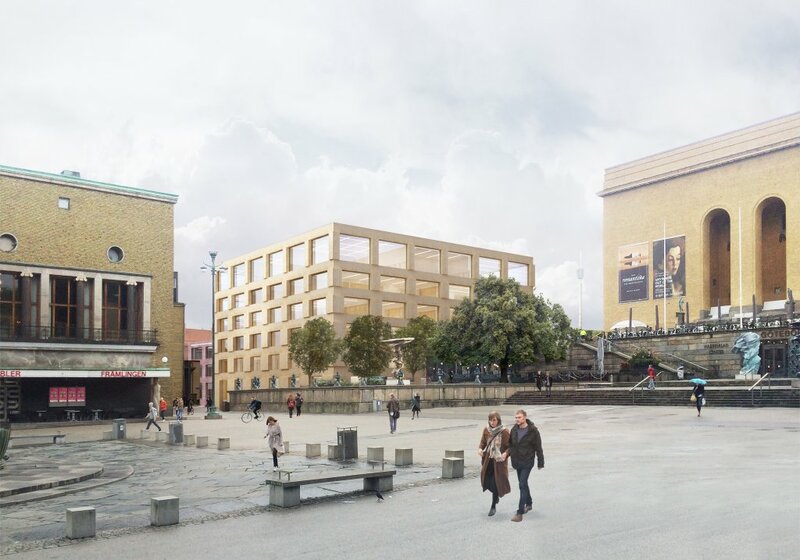 The scheme creates a new assembly of buildings that bring together the entire Faculty of Fine, Applied and Performing Arts: the Valand Academy, the School of Design and Crafts (HDK), and the Academy of Music and Drama (HSM). 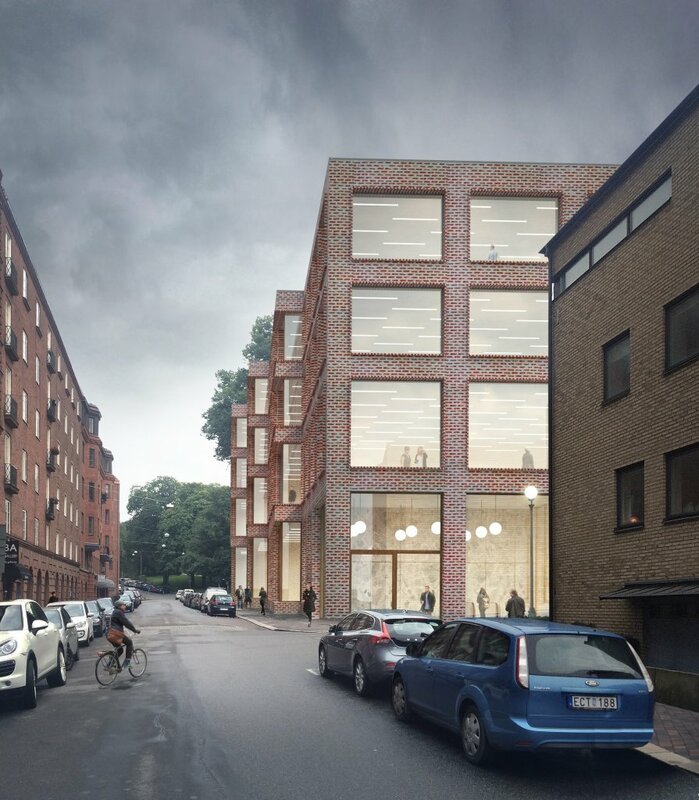 The site is next to Götaplatsen, one of Gothenburgs most central squares, and will through its strategic urban location further strengthen the capacity of these art faculties to interact with current events in society and within the city. The competition phase included a strategic development plan for the entire campus: how to best distribute the artistic institutions within existing and new buildings, and how this could open up the University to create a better interaction with its neighbouring districts of very different characters. The campus, already a place of high cultural heritage values, is laid out around a beautiful park and holds several listed buildings adding to its dense historical context. Further adding to the complexity of the brief, entrances to the new West Link underground commuting train station should also be located within the new buildings. The Faculty of Fine, Applied and Performing Arts is located to a series of interconnected new buildings and also incorporate the existing building with practice studios for dance- and music. It forms an entire urban block around a closed courtyard that doubles as an open air workshop. The northern building sits on a corner next to the Art Museum and the City Theatre marking the arrival of the university at the core of the city’s cultural centre. Its structure is deliberately matter of fact, with atelier spaces stacked on top of each other, to form an almost industrial rhythmic façade. 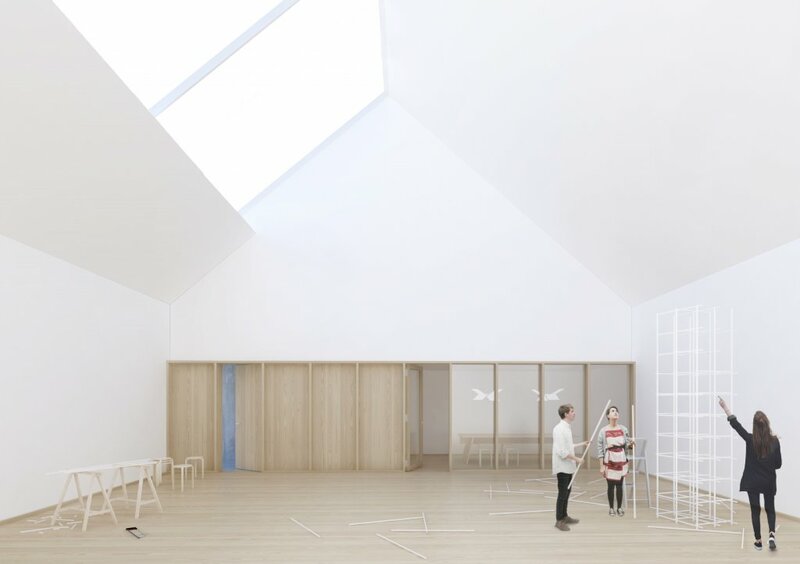 At the top a series of pitched roofs provide skylights that also signal the purpose of the building to its context. The use of deep red and light yellow bricks allows the new buildings to support the existing urban environment.